My lovely friend Emilie gave me the dress (it was a rush getting it, since I have not bought new clothes for a while! 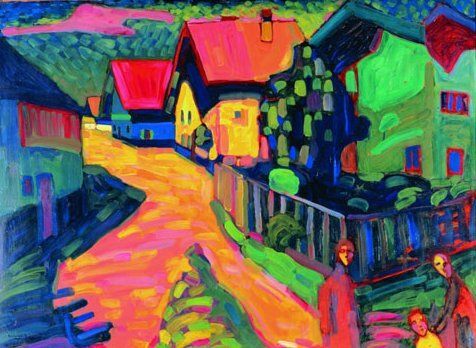 ); I'll get some better snaps of it in the weekend for you to see :) Looked through my inspiration folder and found this Wassily Kandinsky painting I find so lovely. I love the colours in it! Painting by Wassily Kandinsky (from the Wassily Kandinsky myspace). Gorgeous panting! I love the colours! when i looked through your past ones. I really enjoyed watching all the pictures here, they're all awesome!